On Feb 20, 2008, the moon was fully covered in a Lunar eclipse, appearing next to Regulus on one side, and Saturn on the other. This sign in the heavens may speak of the time for the Bridegroom to present the fully-veiled Bride before the father, to ask His approval for marriage. This lunar eclipse may also be a signal to the Bride, just as to Jephthah’s daughter, showing she now has exactly two months in which to bewail her virginity on this earth, and to bewail all that she had hoped and dreamed for herself on this earth. We may not yet see the timing clearly, but we can learn from the example of Jephthah’s daughter. For as Jephthah’s daughter willingly gave up herself to the oath of her Father’s covenant, so does the Bride, for her heavenly Bridegroom. We do not know what happened eventually to Jephthah’s daughter, except that she knew no man. But we can say with confidence there is no need to bewail what we will miss in our earthly realm, but only to reconcile ourselves, and prepare for the heavenly marriage. and thou shalt not know what hour I will come upon thee. If You Love Me, Keep ‘My’ Commandments – Do we show our love for Messiah, in the way He has told us — or have we lost sight of His identity? What Are the Ten Commandments? – Also called The Ten Words, these Scripture passages are shown in both Hebrew and English, enabling us to see for ourselves what these Commandments actually say. When we as New Covenant Believers understand whose words they are, we can better know how to respond to them. Obeying Torah is Not About Salvation – Obedience to the Torah [Father’s House Rules for His family] is not about our redemption by Yahushua’s blood. Instead, it is Messiah’s New Testament instruction to all Born-again Believers in how to abide in Him, how to love Him, and how to walk as He walked. Seven Biblical Guidelines for Studying the Bible: Using Scripture to Interpret the Scriptures – What is the source of our current understanding of the Bible? The pure Truths of Scripture are of highest importance — how we understand the Scriptures will affect our eternal condition! To avoid being deceived by man-made doctrines, we must not rely on Preachers, Teachers, Bible notes or commentaries. Instead we must study and understand the Bible for ourselves — not looking through the lenses of tradition or man-made Bible study methods — but relying only on what the Bible actually says about how to study and understand the Scriptures! Here are 7 Biblical Guidelines that show us the way! Contending for The Faith – We are exhorted to contend, to fight to remain in The Faith that was originally given. Scripture shows what The Faith is, and shows why and how we must contend for The Faith. Overview of how the adversary attacks the foundation of The Faith, with examples of contending for The Faith. The Wise and Foolish Virgins – Yahushua tells us why many today are not prepared. The Wise and Foolish: According to Yahushua – Messiah tells us in clear and simple terms for our instruction, who the wise and foolish are today! The Wise and Foolish Virgins: The Separation of the Wise – The Scriptures reveal a 2-step process of separation from the multitudes, for those who would grow in Wisdom. Let No Man Steal Your Crown – Reveals there are men today trying to take away, and steal your Bridal veil, and your crown; things that allow your crown to be stolen; the Doctrine of Balaam, and how it will steal your crown. Who is the Chaste Virgin? – The Bridegroom is coming for His Bride — one who is chaste, and without corruption. The Scriptures warn us of the many forms of corruption, and how to remove them, in order to remain chaste, and ready for the Bridegroom. The Wedding of the King’s Son: A Parable – A parable revealing the astonishing – and magnificent – nature of the New Covenant. ‹ The Promised Land – Will You Enter? 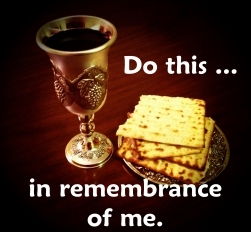 For those who missed the first-month Passover in March, the second-month Passover (Num 9:10-11) is this coming weekend! 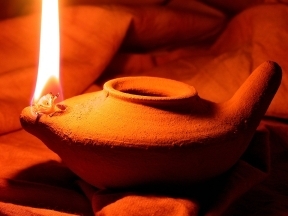 For those who follow the Words and examples of Messiah, the New Covenant Passover Memorial Supper will be held after sunset, Saturday night 20 April 2019. For further details, see the Latest Updates page! • How Do I Receive God's forgiveness for My Sins? • Have You Received the Holy Spirit Since You Believed? The Judgments of Yahuweh: What Are They--And What Is Their Purpose? This is not a forum. Comments and questions are to be relevant to subject, and 500 words or less. Any comments or links viewed as off- subject, or that contradict the Scriptures, or do not add constructively to the discussion, may be edited out, or not posted at all. Profanity, personal attacks, or spam will not be tolerated. Social media and email addresses will not be posted. Notes From the Wilderness does not necessarily agree with, nor endorse all of the content of other websites, articles, or videos referenced within this blog. Prove all things with Scripture, and hold fast that which is good. Let us "Eat the meat, and spit out the bones." Please take the liberty of linking to any of the studies on this site. Permission is hereby given to Re-blog, print, or distribute any of these materials, provided they are "copied right," such that the message presented is not changed or altered in any way, but is presented without alteration, and with attribution and links, and not for sale or commercial purposes. These writings © 2007-2019 Notes from the Wilderness - all rights reserved. All writings within this Site are intended only for those who choose to read them, and who desire to receive them. Site content represents the thoughts and opinions of the Author, and is directed to no person or group, other than the intended recipients, our subscribers. There is no intent on the part of the Author to associate Site content with any specific person or group, and any such associations made by Reader, or any conclusions drawn by Reader, are coincidental.